Since the start of this Test series, Dinesh Karthik was the first choice wicket-keeper for team India. But his poor performance both with the bat and the gloves in the two matches he played questioned his place in the side and it gave an opportunity to the young Rishabh Pant. However, in the second innings of the fifth Test match, Rishabh Pant showed everyone what he is capable of on his given day. Pant started out positively and played his natural free-flowing strokes. He took on the English spinners and blasted them all over the park. He was on 95 when he clobbered Adil Rashid for a six to bring up his maiden Test century and became only the first Indian wicketkeeper to do so in England. He has shown signs of immense confidence, grit and determination in this innings. 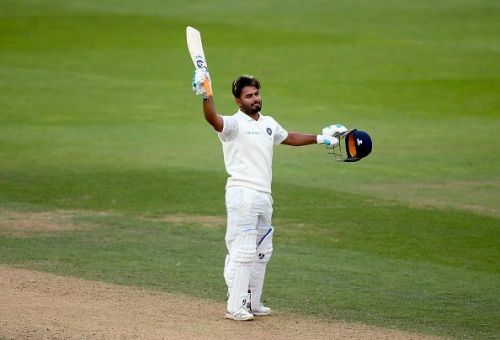 With Indian team struggling to find a wicket-keeper batsman for the Test matches (after Dhoni's retirement and Saha's injury), Pant has surely made himself count. With his performance in England, he is sure to get picked for the series against West Indies and Australia.